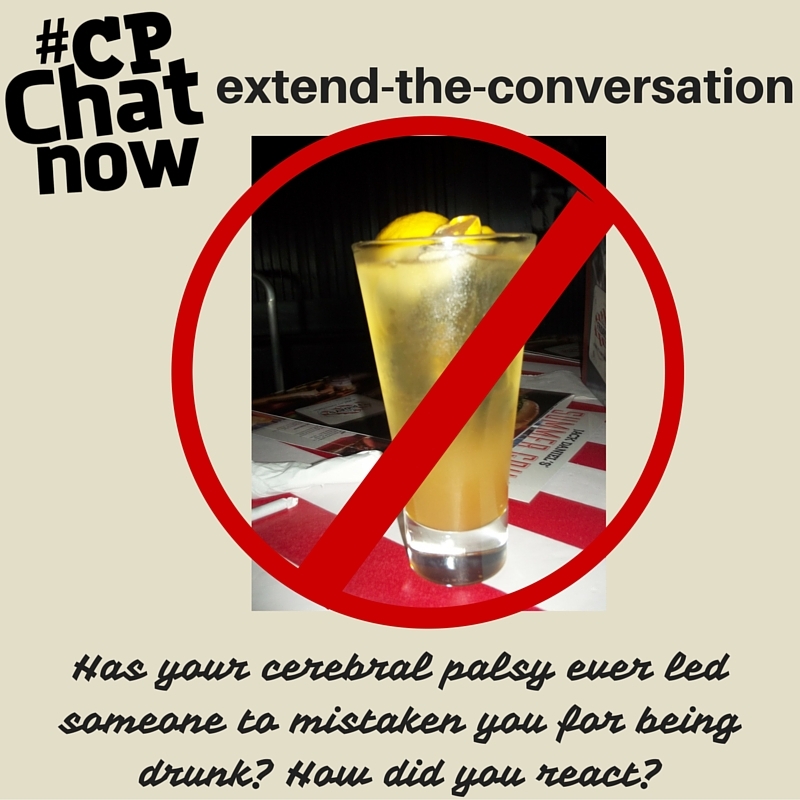 Cerebral palsy or drunk, the too common mix up triggered much conversation Wednesday, June 1st. Hi! 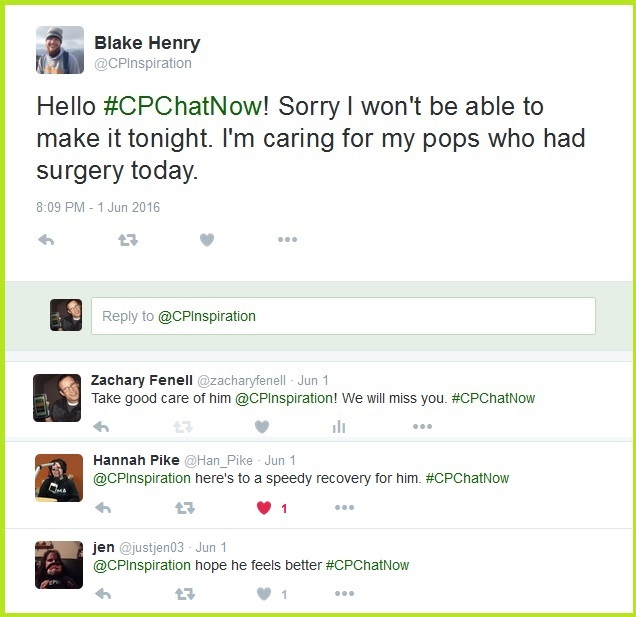 Co-host Zachary Fenell back as promised to recap our most recent Twitter chat. Due to my co-host Blake Henry dealing with other priorities, I remained without my metaphorical co-pilot. After sending well wishes to Blake’s father, we proceeded with our traditional Wednesday evening ritual. I sparked dialogue, sharing an experience from earlier in the day. Honestly, I read about others encountering the cerebral palsy or drunk confusion before. Yet if I indeed heard correctly, the interaction marks my first personal experience with the issue. I wonder how many face the cerebral palsy or drunk mix up. Another noteworthy aspect came when I teased the next focus chat announcement. Those who missed Thursday’s post, click here. Personally I believe this upcoming focus chat will lead to some standout discussion! Make sure to mark the special time on your calendar, 5pm ET- 7pm ET (June 15th). 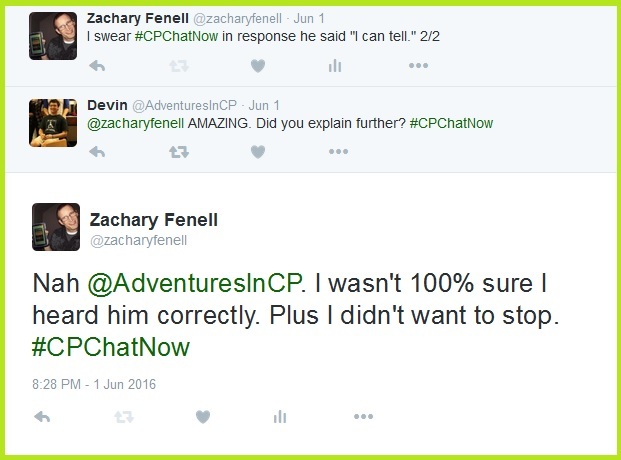 Speaking about focus chats, Devin mentioned a past focus chat leader. 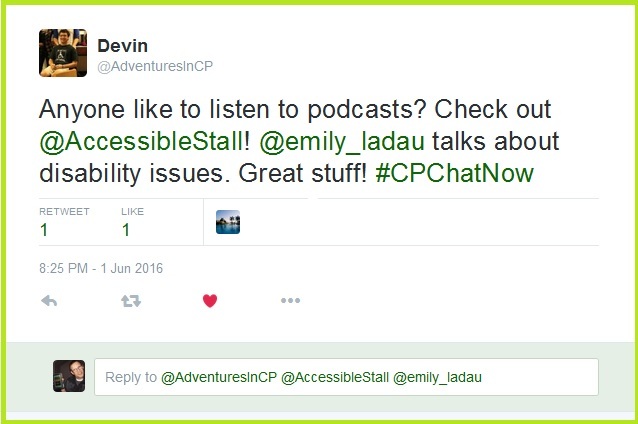 Last year Devin and Emily teamed up to lead an advocacy focus chat. While I still need to listen to The Accessible Stall myself, I hold no hesitation echoing Devin’s recommendation here. I am more than confident Emily delivers an awesome podcast. Additionally I wish to echo a plug I made Wednesday evening. Everyone deserves the chance to go to the bathroom in a private, dignified setting. So again, I am encouraging everyone to sign. Use this active link to visit the petition and show your support on said important matter. 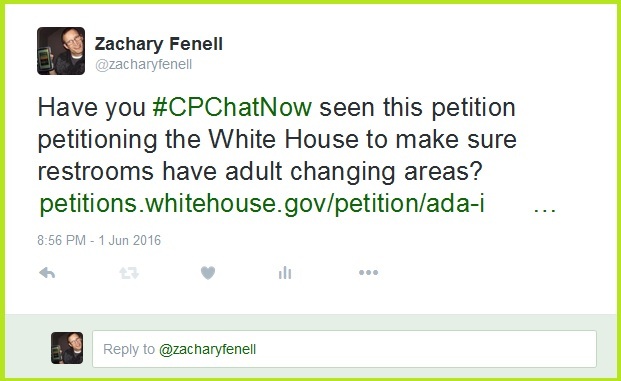 Once you sign the petition, return here to the recap and answer the extend-the-conversation question. Simply leave a comment below to respond. I hope to talk with you Wednesday. 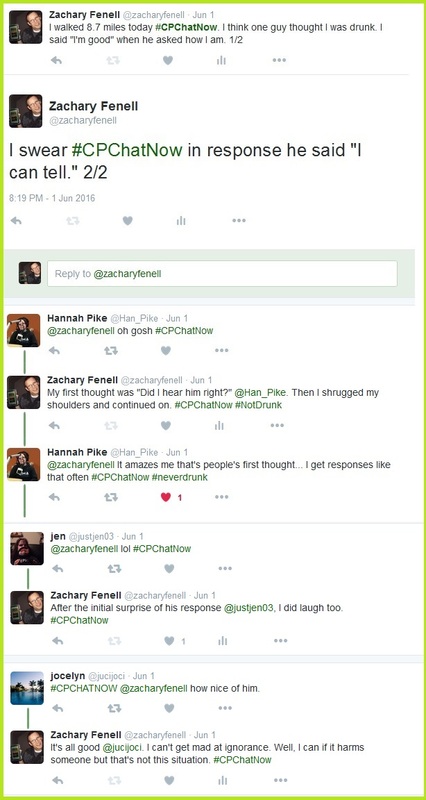 This entry was posted in Weekly Recaps and tagged accessible stall podcast, cerebral palsy or drunk, emily ladau. Bookmark the permalink.